While the base of nutrition should always be well sourced whole foods occasionally it is necessary to supplement certain nutrients for specific reasons, such as for pregnancy or seasonality. When you do need to dive into a bit of a supplement it can be tricky finding the right brand and the right dose. We’ve done the legwork for you here. Cod Liver Oil is the most concentrated natural source of Vitamin D available. It is important to source from a trusted fishery as the cod stocks around the world have been seriously depleted over time. It is also important to source from a producer that provides the freshest oils as these oils are quick to become rancid and should be consumed relatively quickly once the bottle has been opened and the oil exposed to air. You can buy raw, cold-pressed and naturally filtered Extra Virgin Cod Liver Oil here. Here’s why my family takes cod liver oil daily. Cod liver oil can be tough to swallow, so here’s how to make it a little more palatable. Cod liver oil is one of many approaches I use to combat depression. Here’s why you should focus on quality sourcing and sustainable fishery management. Liver and other offal are super nutrient-dense and held a prized place in traditional cuisines worldwide. Liver is extraordinarily rich in vitamins – particularly vitamin A, vitamin B12 and folate. It is also a good source of trace minerals and co-enzyme Q10 which is traditionally thought to support cardiovascular health and reduce oxidative stress. Liver is an assertive flavor and can be tough to swallow, but you can get all the goodness of liver through dessicated liver pills. They’re easy to take, and packed with natural vitamins and minerals. 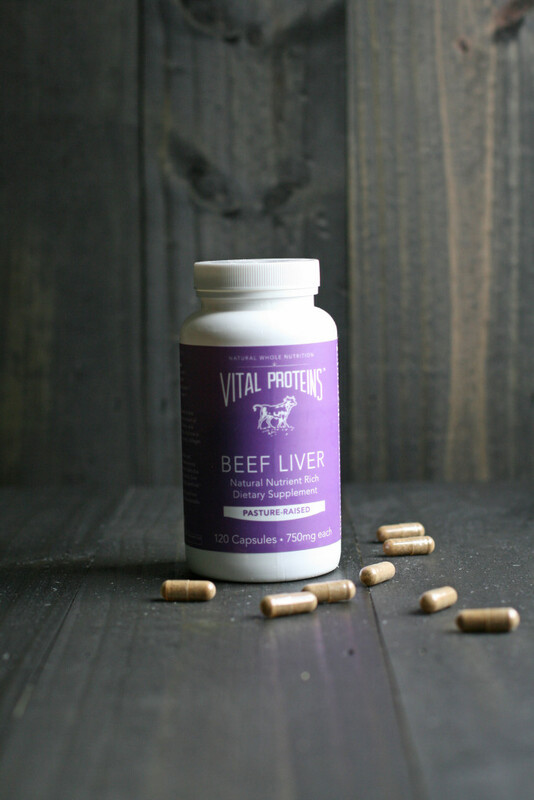 Buy grass-fed beef liver pills here. Here’s the whole food supplements we use here. If you want to skip the supplements, be sure to include plenty of liver in your diet. Try these recipes. 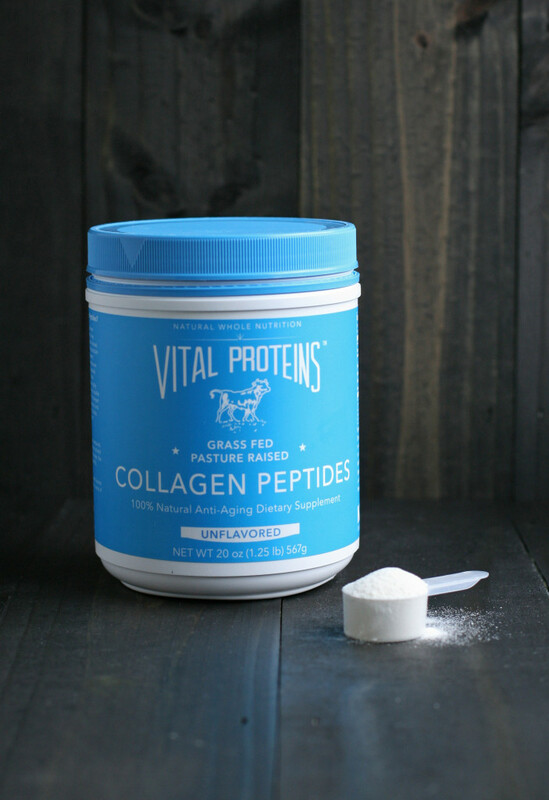 Collagen peptides provide the same proteins found in gelatin, but in a soluble form. These proteins are particularly good for healthy hair, skin and nails as well as for the digestive system. While gelatin will thicken liquids and turn them into a firm gel, collagen peptides provide the same nutrients but in way that allows those nutrients to dissolve into liquid rather than forming a gel. Try stirring collagen peptides into your morning tea or coffee or a smoothie for added protein. Buy pasture-raised collagen peptides here. Get the skinny on gelatin and collagen peptides here. Discover how gelatin can improve your skin, hair, and digestive health in this book.